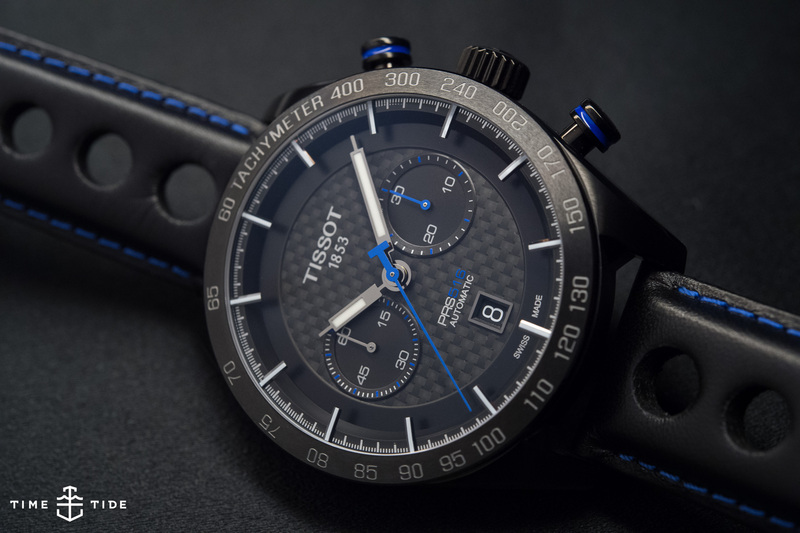 At this year’s Baselworld show Tissot proved their chronograph game is strong. While the world’s first solar-powered touch-screen watch, the T-Touch Solar was the big star of Tissot’s Baselworld range, we discovered that there’s more to their collection than the do-everything digital watch. What impressed us most of all was their solid range of chronographs. 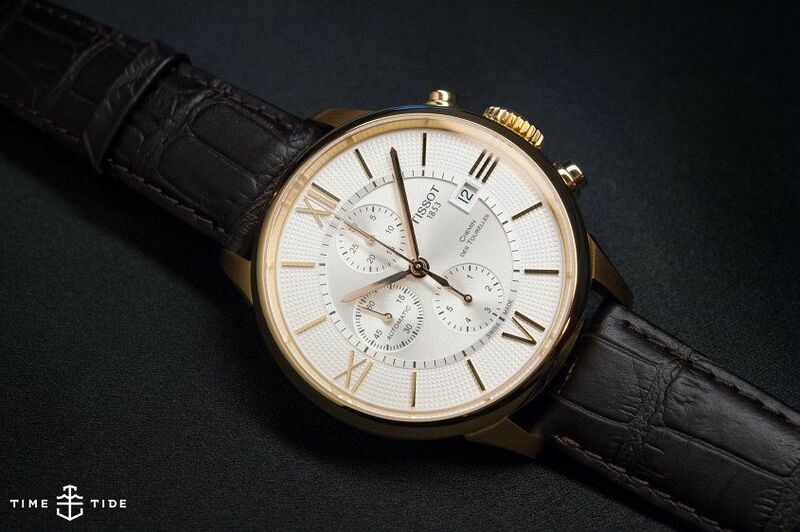 From classic to sporty, Tissot have all bases well covered. The PRS 516 is one of the great entry-level chronographs, and this year they’ve given the sporty stopwatch a slight retro facelift, adding a padded rally strap and toning down contrast on the registers and tachymetre bezel. But our favourite new PRS 516 features a contemporary carbon fibre dial, big 45mm black PVD case and popping electric blue highlights. Pretty sports-slick in our opinion. 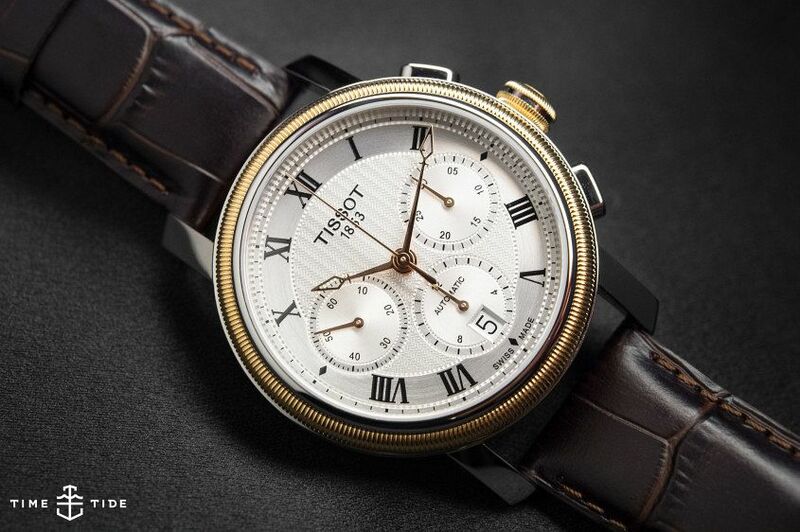 One of Tissot’s prestige releases this year was the Chemin des Tourelles chronograph, which saw elements of a classic dress chronograph – such as the hobnail dial and applied roman numerals – integrated into a very contemporary 44mm rose gold PVD case. It’s a smart move in terms of appealing to a younger audience who like the vintage look, but balk at the petite vintage sizes. Extra points for designing the dial so the comparatively small automatic chronograph movement isn’t lost in the large face. An emerging trend at Baselworld this year, which looks set to be much more prominent in 2016, is the return of two-tone – and the Bridgeport is a great example of how to do gold and steel that isn’t straight from the ‘80s. Rose gold (PVD in this case) is a lot less flashy than yellow, and by limiting its use to the hands, coin-edge bezel and oversize crown Tissot have accentuated the classic details of the Bridgeport, rather than overpowering them.